7700′ elev. Hwy 158, Backside of June Lake Loop, north of Mammoth. 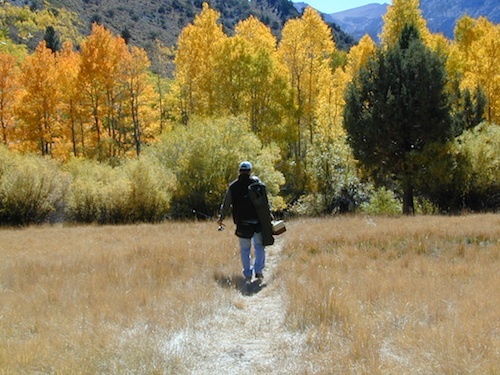 Prime hiking and fishing destination of the Eastern Sierra, California. 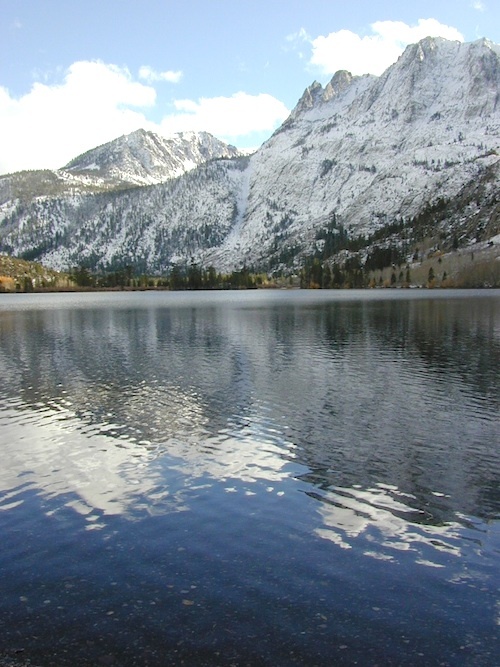 With impressive Carson Peak (10,909′) towering as a granite backdrop for the lake, every day out here is super scenic. Unless, of course, blizzard white-out conditions occur – which is possible during winter. 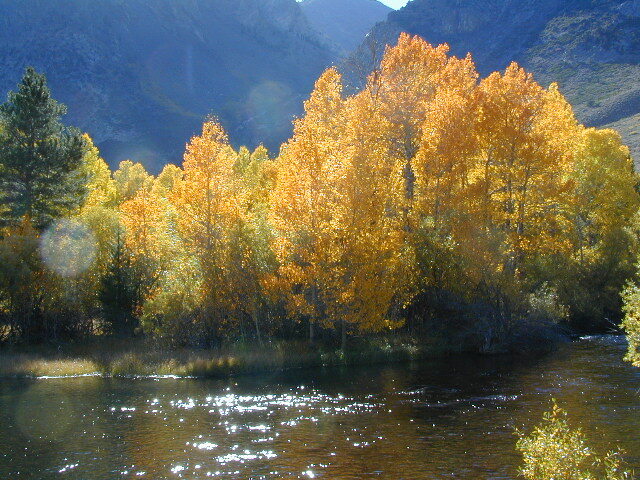 October-November, Autumn colors – at this particular location – tend to be fantastic, with aspen groves encompassing the lake, nearby streams and steep canyons. Winter weather & deep snow can close the paved highway loop, so know road conditions and weather forecast before you go. This beautiful Silver Lake is within walking distance of two lodges – Whispering Pines & Double Eagle Resort, so if rain or snow is predicted make your reservations. 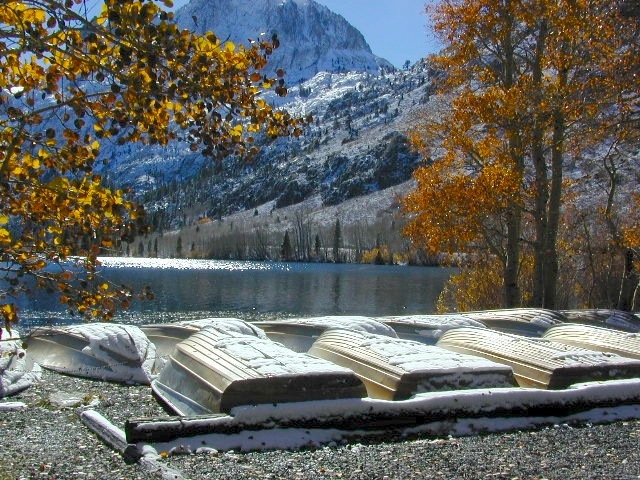 This gorgeous, 80 acre alpine lake is a popular campground for fishing, summer and autumn camping. 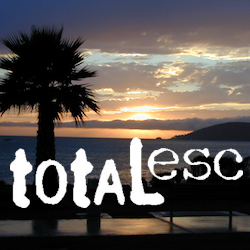 Accommodates tent camping and RVs. Boat ramp, grocery store, coin-op laundry – all nearby.